Taxi aggregator firm Ola on Wednesday said it has inked a pact with Andhra Pradesh government to invest Rs 150 crore and add 40,000 vehicles to its platform over the next three years. Taxi aggregator firm Ola on Wednesday said it has inked a pact with Andhra Pradesh government to invest Rs 150 crore and add 40,000 vehicles to its platform over the next three years. "The proposed investment will encourage driver entrepreneurship and create employment opportunities in the state", Ola said in a statement. Currently, Ola has over 10,000 vehicles on its platform in Andhra Pradesh.As per the Memorandum of Understanding (MoU), Ola will enable technology to bring support to over 50,000 vehicles in the state within the next three years to ensure smart, reliable and safe transportation in the cities. "Our vision is to create a smart and modern Andhra Pradesh and technology advancement is going to be extremely important to make this possible. Transportation is one of the most important areas where technology can make a big difference," Andhra Pradesh Chief Minister Chandrababu Naidu said. "Mobile technology-driven transportation apps like Ola can play a major role in creating job opportunities for hundreds of thousands in the state as well as in providing timely and efficient transportation for all", he added. 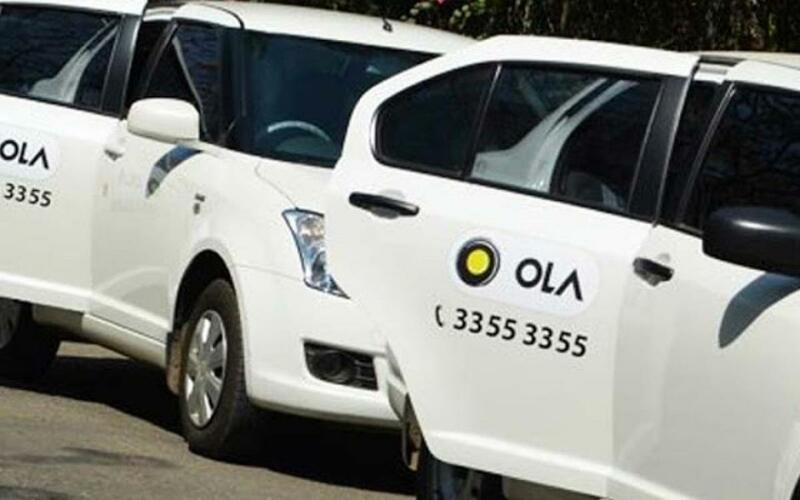 Ola has been ramping up its investment in areas like driver partner programmes and expansion into smaller towns. It is also looking at raising $500 million (about Rs 3,320 crore) as it competes head-on with rivals like US-based Uber and home-grown Meru. Earlier this week, it introduced a cab leasing programme for drivers and said it will spend Rs 5,000 crore through a subsidiary that will enable drivers to own the cars eventually. It has also introduced facilities like shuttle services, expanding mobile wallet, introducing cars with Wi-Fi and offering a cafe service on its app. "Ola will be investing over Rs 150 crore towards skilling, opportunity creation and technology deployment across the state (Andhra Pradesh)," Ola Chief Operating Officer Pranay Jivrajka said. The company will be rolling out an extensive skill development programme for drivers and will be providing free skill development training to drivers during this time. Ola started its operations in Andhra Pradesh in 2014 and now has a presence across five major cities in the state, including Vijayawada, Visakhapatnam, Guntur, Rajahmundry, Tirupati.